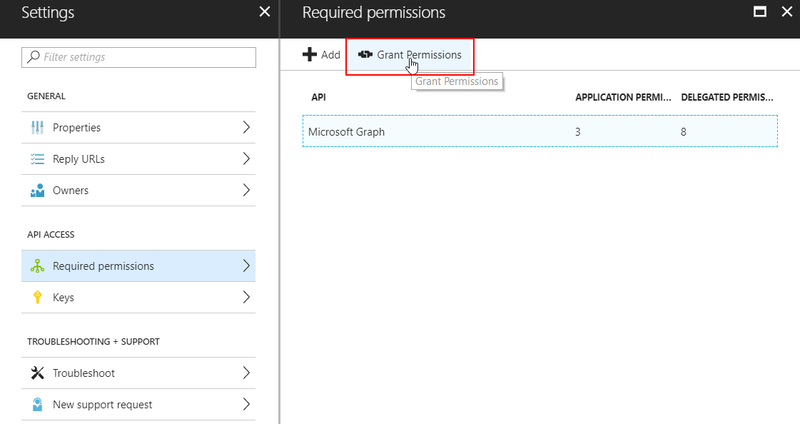 The Microsoft supplied Get-AzureRMADApplication Powershell cmdlet does not return all applications you can see in the Enterprise Applications and App registrations blades in Azure AD. It requires a special token generated by my get-AzureRMtoken function to log in. As usual when using unsupported API’s, be careful! A lot of the things we can click on in the Azure Portal cannot be done through Powershell Cmdlets published by Microsoft. However, using Fiddler, we can see that there is a ‘hidden’ API we can use, for example, to set permissions. I’ve written a ‘clean’ function to retrieve this token silently that you can use in your scripts, it is not compatible with MFA. Please be careful using this for production workflows as this is NOT supported by Microsoft. You can of course replace $env:USERNAME with a parameter if you don’t want the currently logged in user.